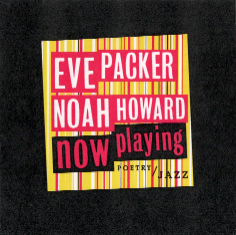 Now Playing, the latest Eve Packer (words) & Noah Howard (sax, music) poetry/jazz collaboration. This CD also features musicians Bobby Kapp, Calyer Duncan, and Bobby Few (piano). 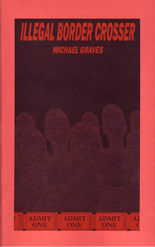 Four years in the making, features "Katrina suite", "Sopranos Sonnets", "Mural at Mintons" and lots of New York post-9/11 pre-Obama pieces. AltSax Records. 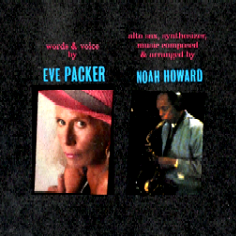 EVE PACKER: Bronx-born, poet/performer, author of 2 books, skulls head samba & the recently published playland poems 1994-2004 (Fly By Night Press), & 3 CD's w/jazz.